BEST WESTERN PLUS Langley Inn has the space for you. Our meeting facilities include 3 separate conference rooms which can be arranged to your individual needs. Our newest addition, the Willow Room, is conveniently located on the main floor and features elegant décor with modern meeting necessities. Equipped with a prep kitchen, it also features permanent buffet consoles around the outer walls, making meal or display options convenient. 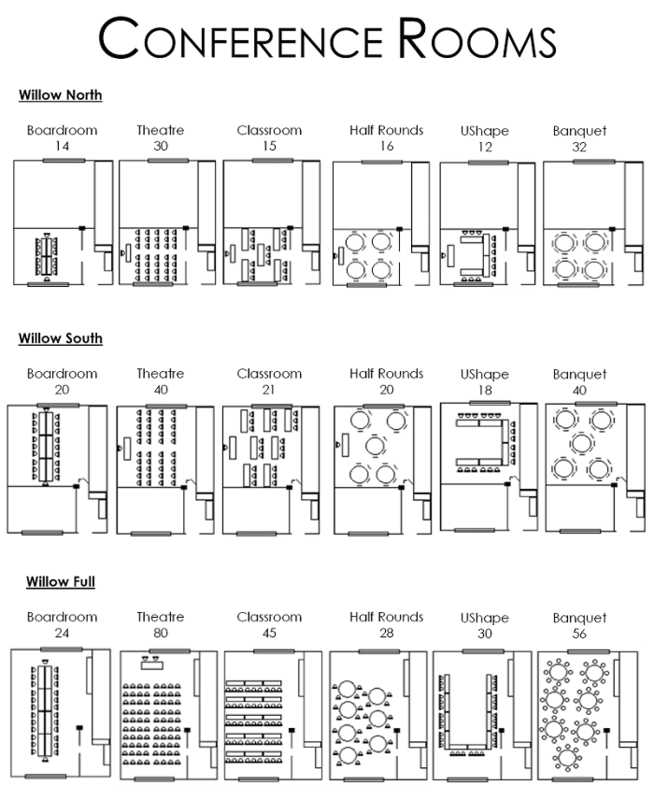 Our Willow Room has the ability to convert into two separate spaces with hallway, making “breakout” meetings or smaller functions easy and stress free. Our Upper Conference Room, located on the 2nd floor, is elegantly appointed and features a permanent console with mini-sink. Full AV and Presentation Equipment options are available upon request. Additionally, our professional staff are on-hand to deliver faxes, send mail, and even assist with photocopying. Impeccable service in the best of surroundings ensures that business at the Best Western Langley hotel is anything but usual. To arrange a meeting, conference, or an intimate gathering, please contact our sales office. For more information on our conference room menus and policies See our Conference & Meeting Rooms Brochure.